Featuring in-house leagues, competitive travel programs, developmental programs and private hockey training for players of all ages and abilities, Sky Rink is the home of youth hockey in New York City. Sky Rink's impressive coaching staff has extensive experience playing and coaching competitive hockey and is committed to individual player development through a rigorous, but rewarding, on-ice curriculum. 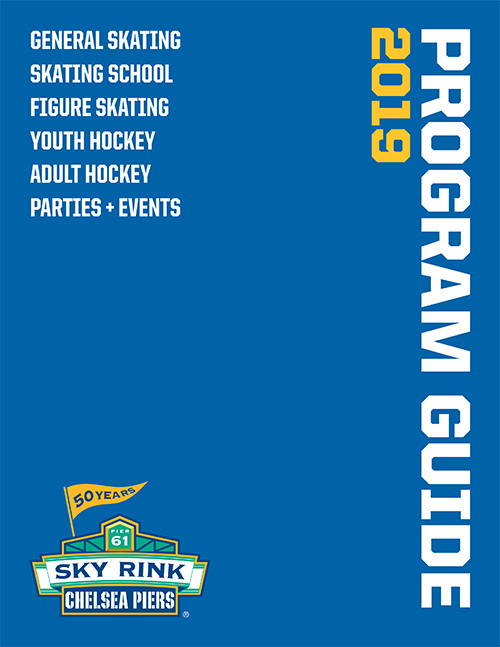 Sky Rink’s hockey development programs are designed to prepare skaters for advanced play. Sky Rink is the proud home of the NYC Cyclones, a Tier II/AA travel hockey program for the Mite through Midget age levels. Includes the Weekend Premier League, CP 61s and 3-on-3 Cross-ice League. Players ages 3 - 16 build and sharpen their skills at our summer and holiday break camps. The Sky Rink Scholarship Fund ("SRSF") is committed to providing New York City children in need with the opportunity to experience the joy of skating.